For events which will have general appeal, regardless of your field of research, look no further than the Union Symposia. The very first session celebrates 30 years of the WMO Global Atmosphere Watch Programme (US5). This session will highlight the need for, and illustrate exciting advances in the translation of atmospheric composition research to support services. The event will also articulate the needs for advances in observing systems, models and a better understanding of fundamental processes. Following this session will be US4: Promoting and supporting equality of opportunities in geosciences. Under-representation of different groups (cultural, national and gender) remains a reality across the world in the geosciences. This Union Symposium will touch on the remaining obstacles that contribute to these imbalances, with the goal of identifying best practices and innovative ideas to overcome obstacles. And finally, US3 on Friday afternoon will cover past and future tipping points and large climate transitions in Earth history. The aim of the session is to point out the most recent results concerning how a complex system as the climate of the Earth has undergone many tipping points and what is the specificity of the future climate changes. Communication between scientists, institutions, policymakers and the general public is widely recognised as an essential step towards a fair and sustainable society. The Science and Society session Science, Politics and European (dis)integration: A conversation of Geoscientists with Ilaria Capua and Mario Monti (SCS1) will focus on science and politics with a global perspective, and the impact of populism on European integrity and therefore scientific research. Plastic pollution is recognised as one of the most serious and urgent problems facing our planet. There is a pressing need for global action, backed by sound scientific understanding, to tackle this problem. This additional Science and Society session, Plastics in the Hydrosphere: An urgent problem requiring global action (SCS2), will address the problems posed to our planet by plastic pollution, and examine options for dealing with the threat. This year we’re holding five Great Debates! The topics covered this year are varied, from the safe operating space for the planet and how to ensure it is not passed to Plan-S: Should scientific publishers be forced to go Open Access? The role of scientists in policy-making is another hot topic on the Great Debate agenda, with one debate dedicated to the subject on who is responsible for science in policymaking. Another Great Debate will focus on Rewards and recognition in science: what value should we place on contributions that cannot be easily measured. At this session a panel of stakeholders will discuss how can we fairly value and credit scientists with harder-to-measure contributions, such as engaging directly with the public and policymakers and practicing open scholarship. Continuing with the success of last year’s Early Career Scientist (ECS) Great Debate, the 2019 General Assembly invites participants to join a round-table discussion where everyone will be given the opportunity to discuss this year’s chosen topic: “How can Early Career Scientists prioritise their mental wellbeing?” Whether you are in Vienna or elsewhere, be sure to follow and join in the debates using #EGU19GDB on Twitter. Educational and Outreach Symposia are sessions dedicated to all things education and outreach, and include the Geosciences Information for Teachers (GIFT) workshop, a long-running event for high school teachers that helps shorten the time between discovery and textbook. The Science-Art-Public Events give you the opportunity to observe, discuss, and take part in activities focused on integrating art and science and society. This year the conference will feature three events relating to this topic. The Geoscience Games Night session offers a space to gather, socialize, and play some games based on Geoscience! Bring along your own games or try one of the others in the session and meet the people who created them. You can also join the OpenStreetMap Mapathon to help put some of the world’s most vulnerable places on the map and learn more about crowdsourcing, open data and humanitarian response. No experience is necessary – just bring your laptop and the session conveners will provide the training. Finally, the conference will be hosting a screening of the award-winning documentary A Plastic Ocean. Join the event to understand the impacts of plastic pollution around the world, what action we can take to stop plastics entering our natural world and pose your questions to the film’s producer, Jo Ruxton, at the end of film. There will be 4 lectures organized by related scientific societies as well as a grand total of 45 Medal Lectures this year! the 2019 meeting will also be hosting two stand-alone lectures. In the first stand-alone lecture, geophysicist Xavier Le Pichon will discuss the possibility of relating plate tectonics and mantle dynamics without ambiguity: Pangea and lower mantle: Are we entering into a new paradigm? From Plate Tectonics to Global Tectonics. The growing frequency of extreme hydrologic events is becoming increasingly apparent at the global scale. In addition, population increases in flood prone areas intensifies the impacts associated with these extreme flood events. 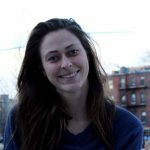 in this second stand-alone lecture, Giulia Sofia from the University of Connecticut will provide an overview about this complex set of interactions, and will showcase some study cases where human drivers, rainfall patterns and floods have been analysed. Meet EGU does exactly what it says on the tin – these sessions are a great opportunity to get to know your division president and early career representative, put faces to names and find out what’s going on in the Union. Townhall Meetings allow participants to take part in a lot of open discussion. 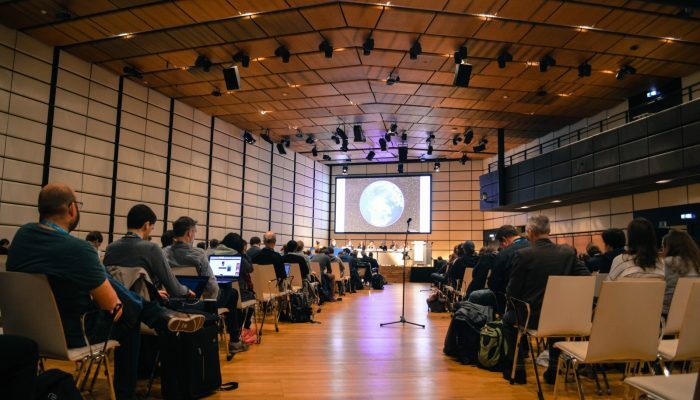 This year’s meetings cover a huge variety of topics, from a talk on geoscientific drone (UAV/UAS) applications through to a discussion on how EGU can minimise the carbon footprint of the General Assembly. Like Townhall Meetings, Splinter Meetings are organised by participants, but they are typically smaller and can be either public or by invitation only. The EGU General Assembly is taking place in Vienna, Austria from 7 to 12 April. Check out the full session programme on the General Assembly website and follow the Assembly’s online conversation on Twitter (#EGU19 is the official conference hashtag) and Facebook. Give us the foundation to build our transferrable skills! The Assembly documented through art!